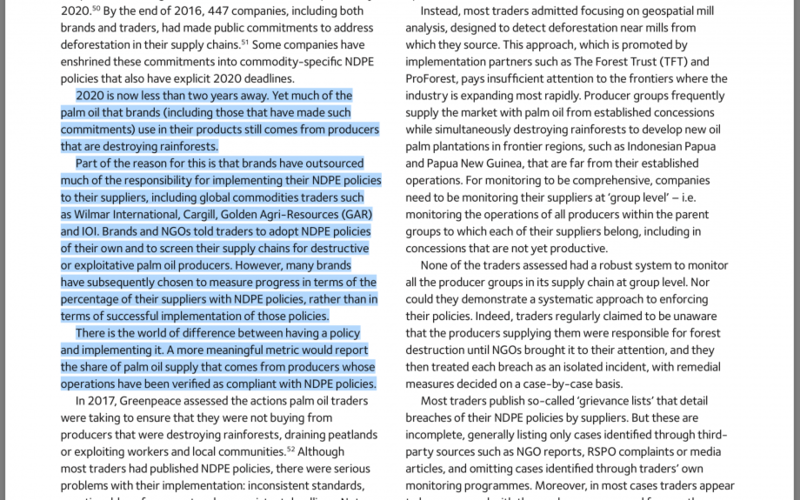 I don’t disagree with a lot of what they are saying in the report, where they are justifiably going after some palm oil businesses unknown to consumers but still determined to deforest, it seems. The fact that they say the palm oil from these firms is in the supply chains of many/all key, cleaner players is worrying. I’d love to know what the numbers/percentages are there. My highlighting here. This seems like a key point/argument from the report. 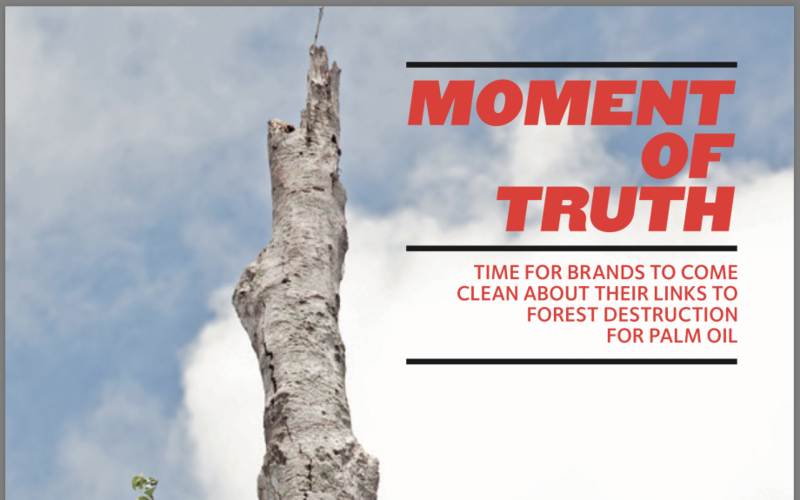 We’ll be discussing this, and the potential campaigner/brand/trader/producer conflicts looming over deforestation progress more generally, as 2020 deadlines approach, at Innovation Forum’s How business can tackle deforestation (Washington, DC, 18-19 April). It’s not ALL about palm oil, as we know. Soy, cattle, timber and potential deforestation of areas in Africa etc for timber are all just as concerning. So the conference will reflect that, and the progress being made in the key areas, or lack of it, in some. The forum is planned with 2020 deadlines on zero deforestation commitments around the corner. Over the two days, we’ll take a realistic look at where companies are meeting targets, whilst also discussing where companies are likely to miss. We’ll maintain an emphasis on pragmatic debate, as we discuss the best ways for all stakeholders to respond. Taking part are senior representatives from Unilever, General Mills, Mondelēz International, Johnson & Johnson, Sappi North America, 3M, Target, The Nature Conservancy, Greenpeace, Georgia-Pacific, Pirelli, Neste, RAN, Bunge, Office Depot, CDP, Ceres and many more. For a look at the full range of topics covered, head to the online agenda. You can register online or email me directly to secure your place. Given the nature of the conference, a number of organisations have registered multiple team members. If you’re interested in doing the same, get in touch for details of group discounts. Let us know if you have any questions at all. And we hope to see you next month!